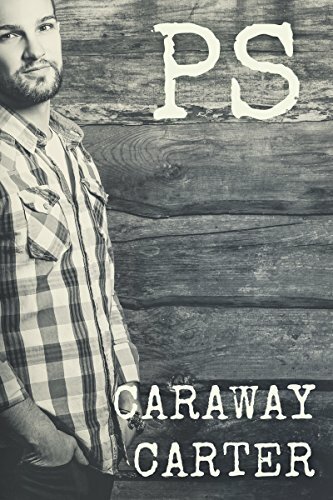 I like Caraway Carter. I think a lot of his writing is touching and portrays people being human. These two stories are solidly enjoyable for very different reasons. The thing that connects them, though, is that there are people being fallible, frustrating, emotional, and just plain human in the most un-plain ways possible. They each find themselves in interesting circumstances and bumble through their days attempting to find solace, peace, and to make life their own. I mostly like this book. I'm actually left wondering how much I like this story, whether it's a lot or just a solid like. There's a lot to like here with a solid cast of characters and a great premise. Things become muddied, a bit unfinished, emotionally reactionary instead of based on wise decisions for the future, convoluted relationships, ambiguous expectations, and a slightly lackluster finish. All combined, the book is interesting but could be awesome if it were streamlined a bit, I think. 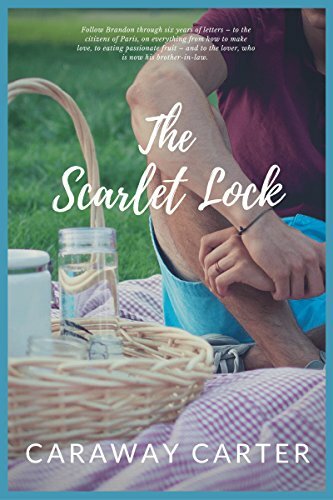 The idea, the premise of the story is something I usually gravitate toward because it should be about self-discovery, healing, acceptance, and then romance to fill in the gaps. One person as the focus only to add a second person to complete the journey that person has gone through to overcome what brought them to the point where we are introduced. While those things are there, it's not the focus. It gets frustrated and side-tracked by Sam, Kelly, James, their past, the attraction of others, and flirtation in general. I'm not exactly sure how I would suggest fixing those things, because they each had their place, I think it was just the way those things were all put together that made it all a bit convoluted. James and Gus have a real shot at something special. Sam gets between them in more than just one way and I don't think it's completely dealt with. Gus is vulnerable and gullible and by the end of the story I don't think he's in a place emotionally that he should be by the end of everything. We see moments of focus and strength and determination but it becomes eclipsed by the drama surrounding the restoration. Overall, this story had a ton of potential where Gus healed himself through growing to love himself with the added bonus of growing to love another man who saw what was inside Gus all along. That was there in pieces and I wish it were more developed. The cast was interesting and varied and gave insight into individual's expressions of sexuality and acceptance. A good story with humans being humans while working together and strengthening a community. 3 stars. I was surprised to have enjoyed this because I generally have a hard time with lots of angst and loss and anything remotely close to cheating but this book was poignant, the loss was formative for Brandon, I found myself vacillating between loving and hating then ultimately and completely loving Hubert, and I very much wanted to read Ben's letters and the various emails Brandon received. The book was so beautiful even though it felt like I was drifting outside the story and yet drawn deep. We learn a lot about Brandon and through him we learn about others. The only complex character is Brandon, though Hubert comes in at a close second because of what Brandon shares and what we infer from events mentioned. Overall it's a great read that leaves me feeling a little floaty...yeah, that's not at all helpful to you, but I can't think of a way to describe the feeling I'm left with. Anyway, the end is only a tiny bit predictable and the revelation/confessions were sweet and illuminated so much about a lot of the unknown throughout the various letters Brandon wrote. The epilogue confuses the timeline a little but you get the details of other things mentioned before so only at the very, very end that you get a complete picture of how things played out. A short read that was well worth the time. 4 stars.